In addition to our popular classroom courses, WSET qualifications can also be prepared for through an online course of study. Online study offers students the flexibility to complete their study at a time and place that suits them. WSET course providers may offer students their own in-house online learning courses or use WSET’s custom designed WSET Online Classroom managed by WSET’s digital learning team. The information provided on this page relates to WSET’s Online Classroom. While used by the majority of course providers, students may wish to confirm what service is being offered when enroling. 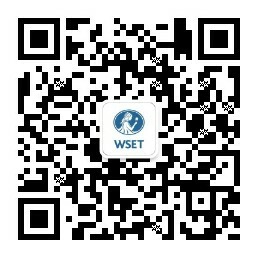 Please note that WSET Online Classroom courses are only offered in English. WSET examinations are not online, students will be required to attend the examination in person. The course provider should specify the exam location at the time of enrolment. For qualifications at level 3 and above students will need to attend a tasting technique workshop to support their online learning. Samples are not usually included in the cost of an online course. I received some excellent help from our tutor who guided me and tweaked my wine tastings notes. I appreciated the clarification and the prompt response considering we are on different time zones. How does the WSET Online Classroom work? Each course has a set start and finish date, with clear guidelines on progression, however there are no fixed times to log-on as there is no "live" delivery of content. Students can complete their learning at times that suit them. Students will learn through a range of independent and/or group activities supported by videos and quizzes, designed to achieve the required learning outcomes to prepare for the examination. Throughout the course students will have access to a subject-specialist educator who’ll provide feedback on any assigned exercises and respond to course related queries. Students will retain access to the course materials for a year after the course concludes. I was living in Spain at the time and had a newborn... the online option allowed me to study at my own pace and to actively participate in the online activities receiving feedback from my tutors. It was like having a classroom at home. Once you’ve decided which course you want to study visit the Where to Study page to find a course provider, using your preferred location and selecting the online course of your choice from the filters.